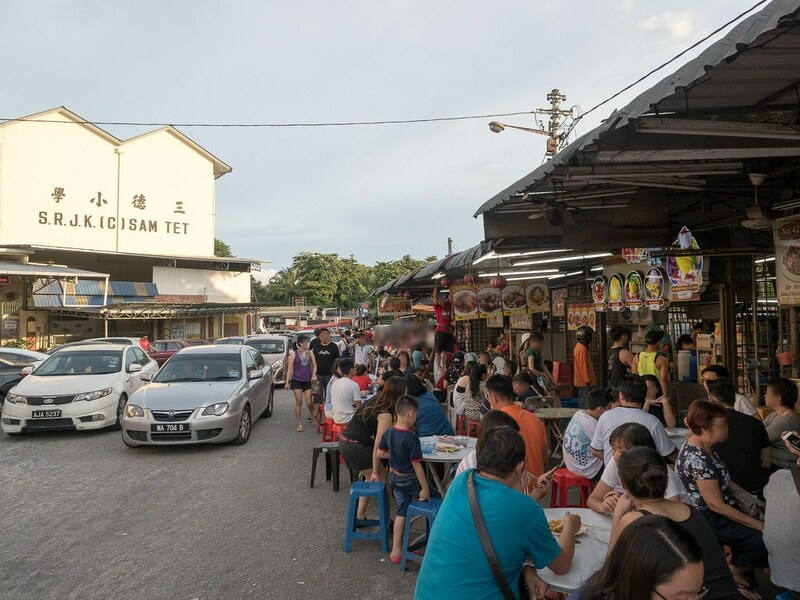 Tong Sui Kai – 糖水街 (Dessert Street) at Ipoh, Perak is a street of many food stalls. 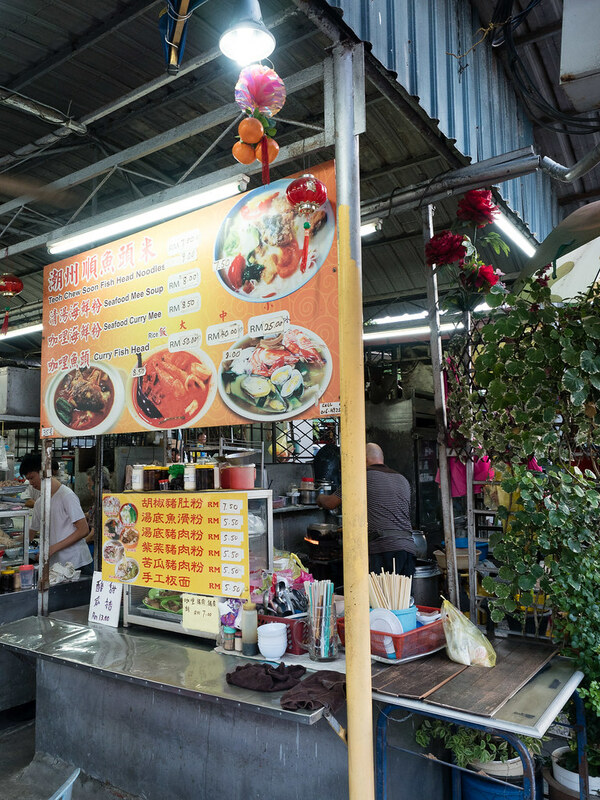 Most of the food stalls here are selling dessert (Tong Sui). We came here for tea time after checking-in into our hotel, De Residence Boutique Hotel, and killing some time before dinner. This place is popular in the Internet so we came here to see what is so nice about this street. Reads on to find out more. 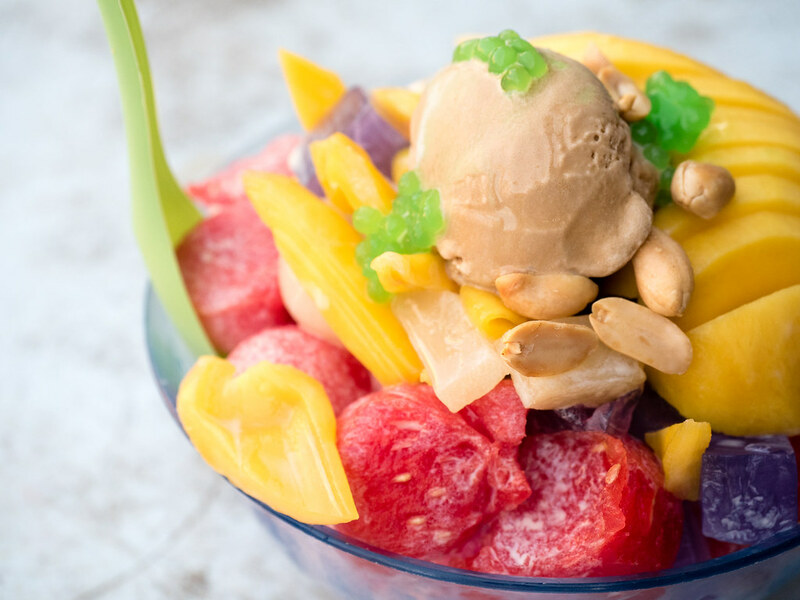 This is the specialty of Tong Sui Kai – 糖水街 (Dessert Street), the Mixed Fruits ABC with ice cream. 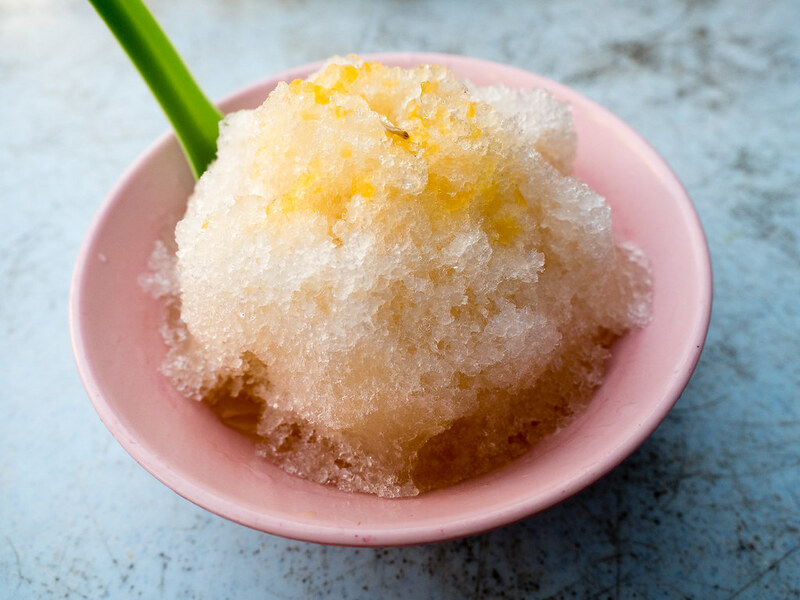 (Ais Buah-buahan & Ais Krim). 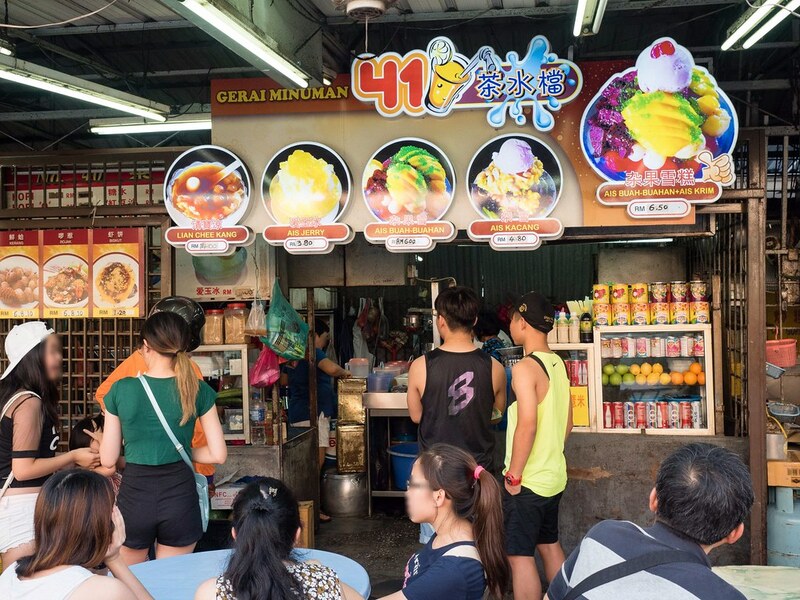 This dessert is one of the reason for many tourists to come to this dessert street when visiting Ipoh. 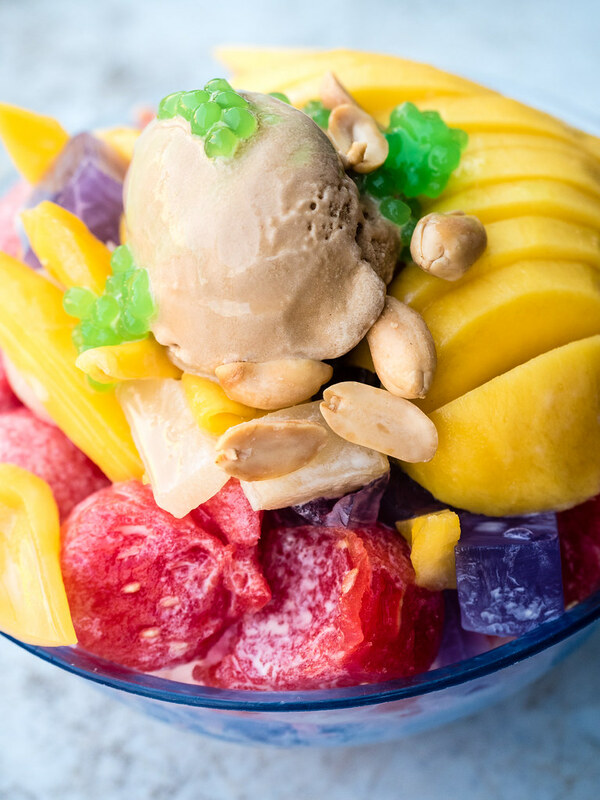 There are many types of fruits in the bowl with peanuts, jelly and ice cream on top. The fruits included are mangoes, jack fruit (nangka), longan, watermelon and other fruits which I do not know their names. All fruits are fresh and sweet. We also tried the Aiyu Jelly (云头浪) which is very refreshing and not too sweet. This bowl of dessert helps to quench our thirst on the hot day at Ipoh. 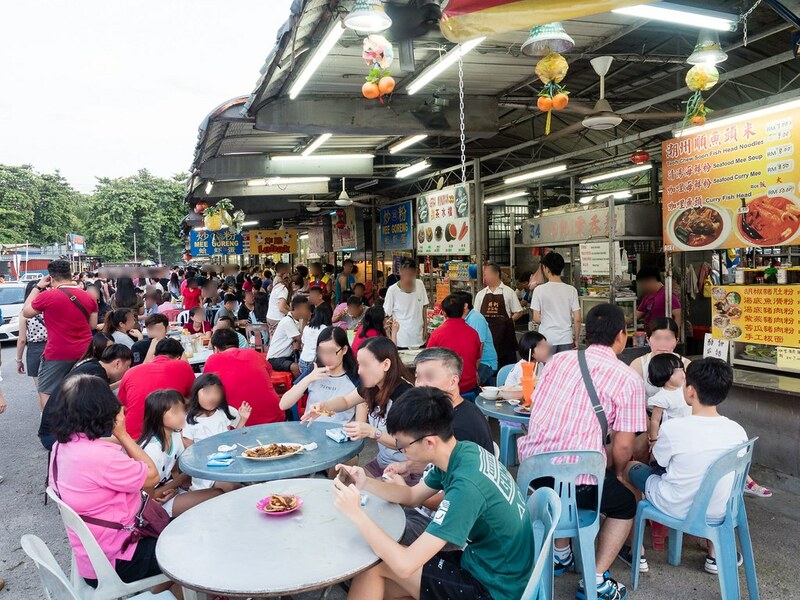 Snacks are also available here at Tong Sui Kai – 糖水街 (Dessert Street), such as Sotong Kangkung (Cuttlefish with water spinach), kerang (cockle), rojak (mix of fruits and vegetable with special sauce, normally found in Malaysia, Indonesia and Singapore.) and biscuit in some kind of sauce. 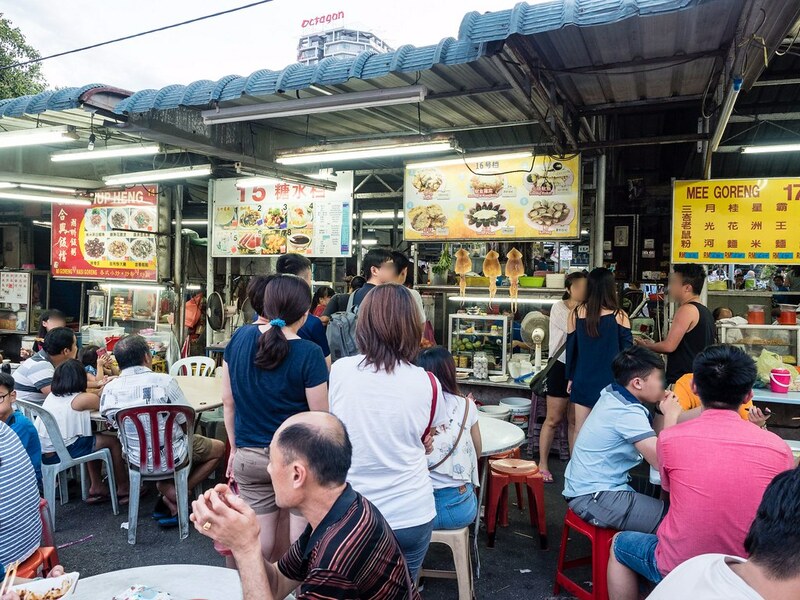 So many people eating here at Tong Sui Kai – 糖水街 (Dessert Street). 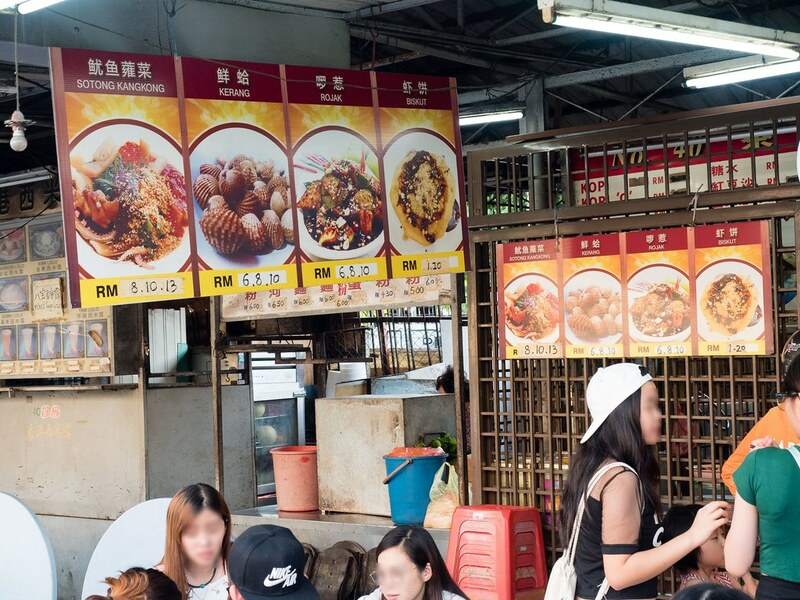 Spotted this stall selling soupy dishes such as Fish Head Noodle, Seafood Noodle and Curry Fish Head. A queue at one of the stall at Tong Sui Kai – 糖水街 (Dessert Street). Do you notice the cuttlefishes? A view of the Tong Sui Kai – 糖水街 (Dessert Street) with the primary school opposite. This can be the landmark if you are having problem finding this dessert place. Dinner at Restoran Wah Xing, Jalan Pasir Puteh, Ipoh.